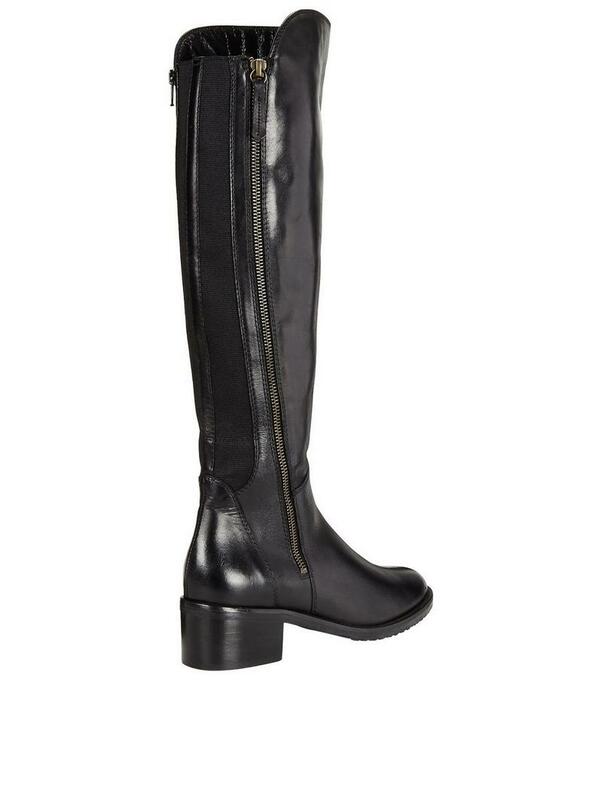 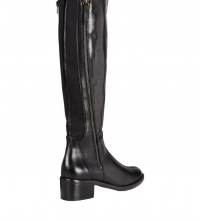 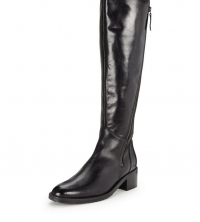 Sophisticated and elegant, the Valana Melrose knee boot by Clarks is crafted from premium Italian leather to give it a soft, ready to wear style inspired by equestrian silhouettes. A feminine-shaped toe and asymmetric exposed zip fastening to the side work with the elasticated panels to ensure the perfect fit, while the wearable heel keeps them comfortable for all day wear. 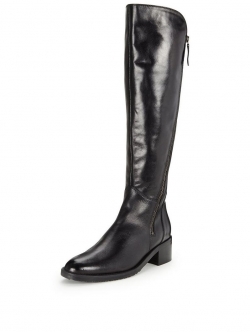 Whether wearing them with dresses or tights and skirts, these versatile leather knee boots can easily amp up a city outfit this season.